One feature that’s part of just about every smartphone, and most tablets is the Mobile Hotspot or USB tethering. For a while, most carriers had disabled it, and were fighting backdoors into enabling it. However now most carriers allow it. You just get a data cap, and when you go over, you get some overages. For example, Verizon and AT&T no longer offer unlimited data and hotspot is part of your plan now. So if you have 2GB of data, that includes mobile hotspot. Now on T-Mobile you get a separate data cap for the mobile hotspot, which is a bit better, since they throttle you when you hit your data cap. Flip the switch to “On” to turn on Mobile Hotspot, if you want to edit the settings tap on the three dot button on the right side and then configure. It’s just that easy to turn on the Mobile Hotspot on the Samsung Galaxy S5. If you need additional help, we’ve got a video down below to help you out. 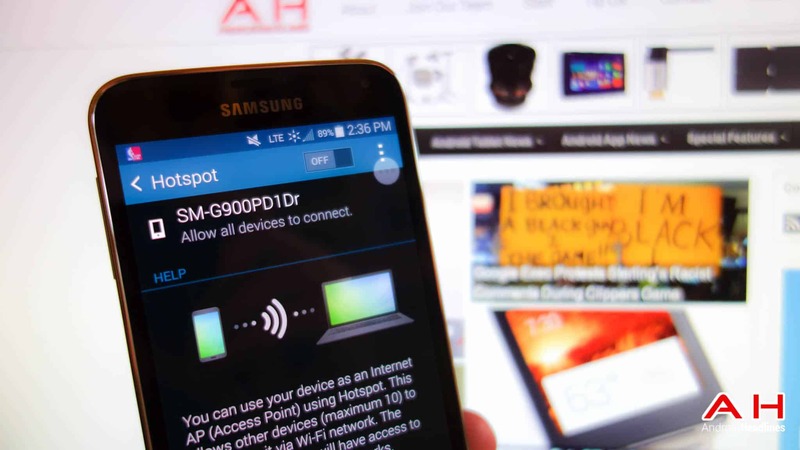 The post Android How To: Enable Mobile Hotspot on the Samsung Galaxy S5 appeared first on AndroidHeadlines.com |.